Facials are the ultimate indulgence and Clarins Signature Facial is simply sublime. There is just something so relaxing about letting yourself unwind and enjoy the sensation involved. 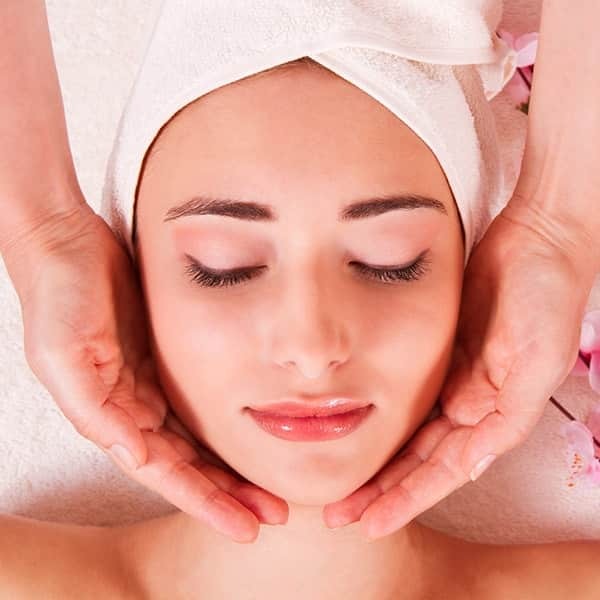 We think that facials give a truly luxurious kind of treatment that delivers superb rejuvenating effects. We could all use some pampering, and a decadent Clarins Signature Facial is an excellent choice. Although there are many other superb facials to choose from at The Belmore Centre, we think that Clarins Signature Facial is one of the best we offer. As is to be expected from such a high-end and respected brand, the quality of the treatment is superb and will give skin a real lift when done. Clarins have been making some of the most desirable skin products for years and we have used this know-how to offer a treatment that will blow you away. Clarins Signature Facial uses a combination of five separate innovative ClarinsPro treatments to provide immediate results. We are confident that everyone will love the astounding results this kind of treatment brings, making Clarins Signature Facial one of the most popular around. As facials go, Clarins Signature Facial is highly bespoke and personal to the person having the treatment. We will work with the person receiving Clarins Signature Facial to determine which blend of five ClarinsPro products will give the most stellar results. We know that people enjoy facials, not only for the relaxation they provide, but also for the rejuvenating effects they have on the skin. The effect of Clarins Signature Facial is exquisite for the face and will leave you with visibly brighter skin. As the premier centre for facials in the Aylesbury and Buckinghamshire area, we are experts in advising on the best combination for each individual’s skin. Clarins Signature Facial has been clinically proven to improve skin firmness by 10% and skin hydration by an outstanding 46%. This illustrates why it is so popular and has become the facial of choice for so many people. It provides immediate results that will astound while promoting total relaxation. For anyone in the Aylesbury area who wants the best facials around, The Belmore Centre is the perfect choice. We offer a relaxing, welcoming and luxurious experience that will leave anyone full of joy. Lasting for 1 hour and 30 minutes, we think this facial is the ideal length to fully feel the benefits it brings. Clarins Signature Facial is one of the many facials we offer – and we are confident you will love it!